Throw your toothbrush away after recovering from strep, or any illness for that matter. If you have a Sonicare or another type of electric toothbrush, it is a good idea to sanitize the head or replace it. Sanitize your night guard and/or retainer. Be sure and use cold water, not hot, and only use a few drops of bleach to a cup of water. Soak for less than 5 minutes then rinse well. Don’t let anyone eat or drink after you, even kiddos or your spouse. These pesky germs are very contagious. “Streptococcus was first discovered in 19th century, the name was derived from Greek (strep: chain and coccus: round), which describes how the bacteria grow in pearl-like chains. There are many species of streptococcus and they can cause many kinds of diseases like kidney disease, rheumatic fever and impetigo. In fact, people with pneumonia may be infected with one of eighty types of pneumonia-causing streptococcus bacteria. Sore throat symptoms are caused by three types of streptococcus bacteria. It can be treated effectively with antibiotics, however to prevent antibiotics resistance, the treatment should be focused for symptomatic relief. When diagnosing strep throat, doctors look for four most common symptoms and when three of these symptoms are present, then the diagnosis can be positive. Stomach pain, chills and headache can also be considered as strep throat symptoms. 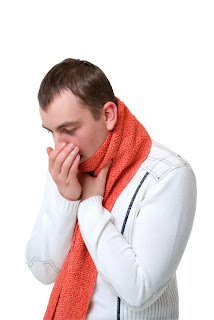 However, nasal congestion and cough are usually not present. If the symptoms appear to be quite severe, the cause could be virus instead of streptococcus. Unlike common flu or cold, diagnosis for strep throat may call for additional information. A classic test is called the “throat culture”, in which fluid sample from the back of your throat are taken with cotton swab for lab analysis. The result should be available in 48 hours. The test was first performed in 1954 and since then was regularly used as a tool to diagnose strep throat. Antibiotic penicillin is still the gold standard of streptococcus treatment. It can be prescribed as 10-day course of oral drugs or a single shot. Patients with penicillin allergy may be given erythromycin. If no improvements are detected after seven days, additional testing is required. Severe sore throat that won’t improve after one week of antibiotics treatment could actually be an Epstein-Barr virus infection. Strep throat normally lasts for one week, but tonsils and glands may need two or three weeks to return to their normal state. The enlarged tonsils and glands may cause uncomfortable sensations. In the 1980’s about 36 millions cultures were tested annually in the laboratories, since then the number of throat cultures has dropped significantly, since better or faster diagnostic methods were introduced. Among the newest tests is rapid antigen test or RAT, which allows doctors to test for the presence of streptococcus antigen in their offices. A doctor still also needs to take a liquid sample from the throat using a cotton swab. The swab will be inserted to a solution to detect the presence of certain antibodies that fight streptococcus Group A. Unfortunately, RAT is not as reliable as throat culture, which may make false negatives more likely to happen. Put differently, it may indicate that strep throat is not a problem when in reality it causes an infection. However, because it is less expensive and faster, RAT is still used for preliminary test. When it is positive, the patient will be treated with antibiotics for Group A streptococcus and if it is negative, throat culture is performed. Experts advocate that throat culture should be considered as a gold standard in strep throat diagnosis. Although it takes 48 hours to get a definite result, two-day delay won’t increase the rheumatic disease risk, because it takes about 9 days after the first onset, for the complications to occur. If the patient is particularly uncomfortable, the doctor may immediately give the antibiotic treatment. Streptococcus is airborne bacteria, which can infect people through droplets. Additionally, this tenacious microorganism can spread by skin contacts. In school and dorms, strep is often a problem. Children are more vulnerable to strep, due to less developed immune, frequent physical contacts with friends and lack of awareness on hygiene. Streptococcus can also contaminate food, which causes sore throat and fever. If the strep throat outbreak is frequent in your community or family, then there could be a carrier. Carriers are healthy-looking people who were previously under-treated for strep infections, as the result they can still spread the bacteria to others. It is still debatable how a person can remain infectious after he is treated with antibiotics. Streptococcus bacteria shed more quickly on adults but can continue longer on children. Just like any other bacteria, strep is vulnerable to antibacterial agents. During an outbreak, you should wash your hands with antiseptic soaps, regardless of whether you’re already contracted strep throat or not. Additionally, pediatricians recommend that the whole family should be protected with antibiotics if a family member has strep throat. Rheumatic fever is a serious heart complication of strep throat. The complication can occur between one to five weeks after the first onset, as the invading bacteria cause widespread inflammation. Inflammation occurs when patient’s own tissue and bacteria cell walls cross-react. It can cause swelling in the joints and discomfort, which mimic the symptoms of regular rheumatic. Unfortunately, the bacteria can also infect myocardium, an important heart muscle. When valves of the heart are affected by rheumatic fever, they can be permanently scarred during the healing process. Consequently, heart works less efficiently and tends to swell. To make matter worse, some particularly vulnerable individuals may have frequent relapses. Each time, the heart and joints can be damaged even more, which can cause death due to heart failure. A few decades ago, rheumatic fever was common in many parts of the world. Many hospitals run a special rheumatic fever clinic, where people who had recovered would get long-acting penicillin injection every two weeks to prevent a relapse. Children were asked to take antibiotics regularly until they were 20 years old, when a more developed immune system can defeat strep completely. Today, rheumatic fever has declined significantly in most parts of the world and even in developed countries with the best medical care available, it still occurs.